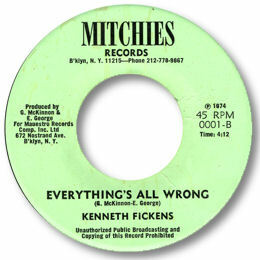 New Yorker Fickens seems to have been another of those single disc artists, but as with so many of the singers on this website his sole 45 Everything’s All Wrong is a splendid one. Kenneth takes him time setting the scene before giving a fine vocal display as he outlines his loss. The way he cranks up the intensity as the song progresses is terrific – as is the organ/piano accompaniment. 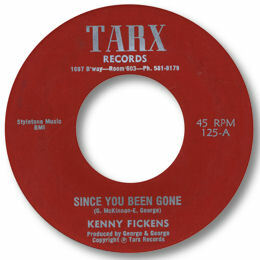 When Tarx picked it up from the tiny Mitchies concern, they changed the title, lopped over a minute off the playing time, and replaced the occasional female chorus with some Fickens double-tracking. More seriously, a layer of strings was added. I’m not sure that any of this improved the track – but you can be your own judge.